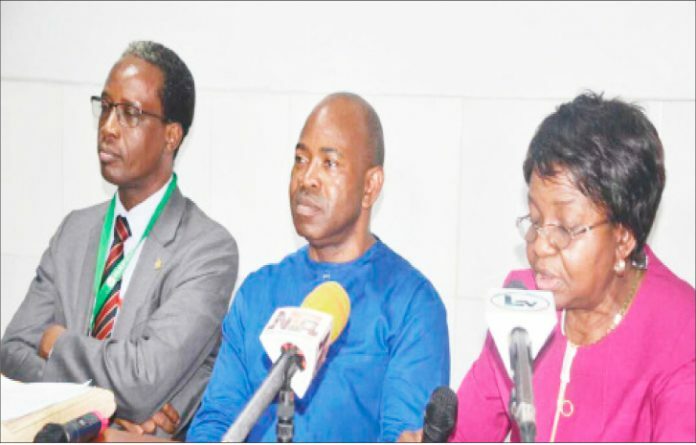 Lagos – With the resumption of Professor Mojisola Adeyeye, the new Director General, National Agency for Food, Drug and Administration and Control (NAFDAC), the agency said that it has repositioned itself towards eliminating substandard, falsified and unsafe drugs in line with global standards. Giving the assurance weekend, was Professor Adeyeye, who insisted that she would earn NAFDAC a global recognition. The new DG spoke during her inaugural address to staff when she visited the headquarters of the regulatory body in Lagos. The DG, who assumed duties last week told the staff that her vision was to lead the agency toward eliminating substandard, falsified and unsafe drugs, medical devices, foods and water in the country. She reminded staff that NAFDAC was established by Decree 15 of 1993 (as Amended) now Act Cap N1 Laws of the Federation of Nigeria in 2004 to regulate and control the importation, exportation, manufacture, distribution, advertisement, sale and use of food, drug, cosmetics, chemicals, detergents, medical devices and packaged water in Nigeria. “Clearly, the agency plays a critical role in ensuring that the health of all Nigerians and foreigners residing in Nigeria are not jeopardised by the use of substandard or counterfeit regulated products,” she said. Adeyeye noted that for the past 24 years, NAFDAC has made steady progress in ensuring that the health of the nation is protected, adding that the collective responsibility of staff is to take the agency to the next level. Adeyeye said that the vision is to also emphasise the training of NAFDAC staff in regulatory science and clinical trial management in compliance with international standards. This, she said, would contribute toward the elimination of substandard and unsafe medical products and create market opportunities for Nigeria in the supply of essential medicines to ECOWAS countries and beyond. She also said that they would work with manufacturers’ group and other stakeholders on the drug distribution chain; continue with all the good projects of the agency as long as they meet irreducible minimums in due process and conform to the law that established the agency, among others. The DG also said that they would drive the harmonisation of NAFDAC’s overlapping functions with those of other sister regulatory bodies such as SON, PCN, NDLEA, Plant and Quarantine services, among many others.